Nayanthara’s character in Sye Raa Narasimha Reddy will have a surprising emotional curve. According to a leading daily, actress Nayanthara’s role in ‘Sye Raa Narasimha Reddy will have shades of grey and is going to be an integral part of the plot. Moreover, the character will have an intriguing emotional curve. 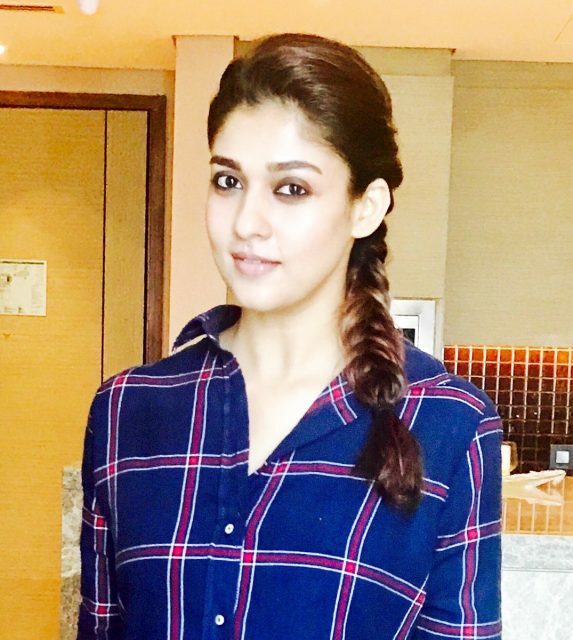 Confirming this, a source said that the character will be a strong one and that is why Nayan okayed the project. “Her role is very important in the proceedings of the story and the character will have a phenomenal emotional curve. That was one prime reason Nayan okayed the role. She will be seen in an avatar she hasn’t donned before,” added the source. Well, this is some good news and is bound to send Nayan’s fans in to a state of frenzy. In case you did not know, ‘Sye Raa Narasimha Reddy’ is touted to be a period-drama and features megastar Chiranjeevi in the titular role. A Surender Reddy directorial, it is being produced by actor Ram Charan. Bollywood megastar Amitabh Bachchan is also a part of the cast and will be seen playing the role of Chiru’s guru here. On a related note, this is a busy time for Nayanthara. At present, besides ‘Sye Raa Narasimha Reddy’, she also has ‘Velaikkaaran’ and NBK 102 in her kitty. ‘Velaikkaran’ is an action-thriller and has been directed by Mohan Raja. In it, she’ll be seen alongside Sivakarthikeyan. As far as NBK 102 is concerned, it is being directed by KS Ravikumar and went on the floors a while ago.